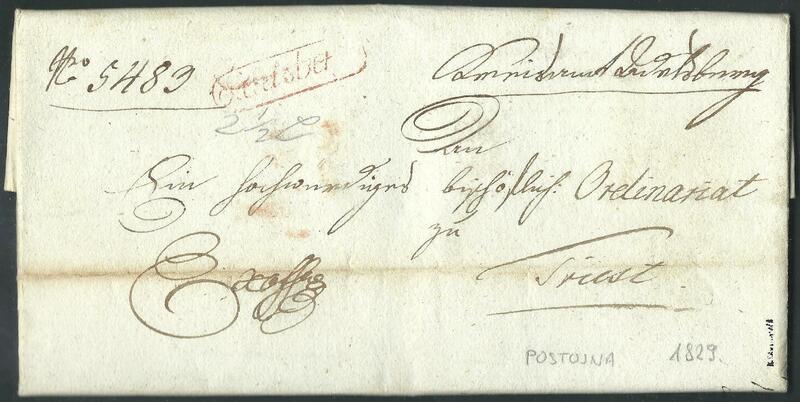 ,,Complete prephilatelic letter, red oval "Adelsberg" (Postojna, 27.8. 1829, Mü. 3b), sent to Triest, signed Kajtna.